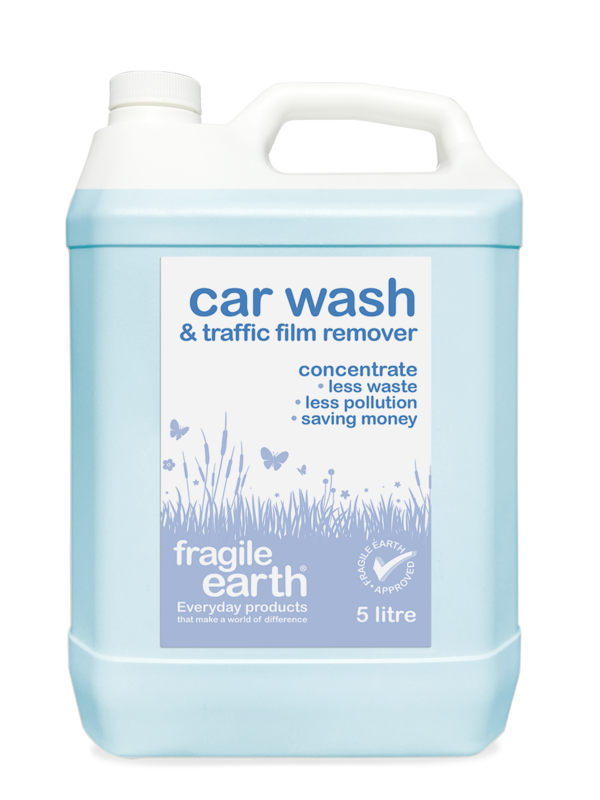 Fragile Earth Car Wash and traffic film remover has a penetrating cleaning action which quickly cuts through oil, grease, dirt and carbon leaving a protective bio-film that will continue to repel dirt. Dries spotless and smear free, restoring lustre to finishes. Car Wash has been formulated to provide dual action in a one-step cleaning method. Its high penetrating action cuts through oil, grease, soils, and carbon quickly. Car Wash is a popular commercial product with valeting companies, fleet owners and commercial vehicle operators not only because it is highly effective but its formulation is safe to discharge to sewers so avoiding the risk of prosecution from beaching environmental regulations. 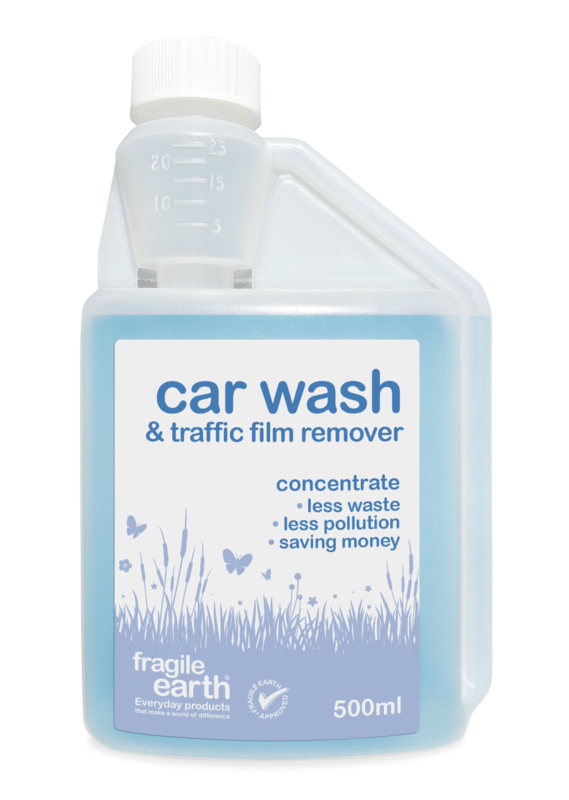 The added biological blend of bacteria and enzymes aids in breaking down the organic matter during washing and keeps working well after the car has been cleaned and dried on those hard to reach areas. The added value to this product is that it can be discharged directly into the sewer systems. The biological additives help keep drains clean and free-flowing whilst also reducing odours. Safe to discharge to sewers. Residual action continues to break down hydrocarbons in interceptor tanks and drains. Will not stain or discolour trim or paintwork. For manual cleaning add 100ml to 5 litres of water and wash the vehicle with a sponge or cloth for a spotless finish. 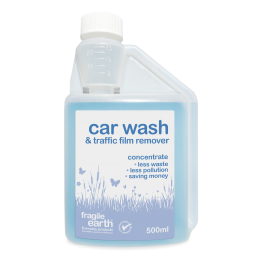 Fragile Earth Eco-friendly Carwash is a blend of non-ionic surfactants, emulsifiers, sequestrates, metal deactivators and our proprietary biological blend of additives. Fragile Earth Car Wash wash is ph 9 with the cleaning power of ph 13. Soils which develop on the exterior of vehicles are usually quite complex and often require heavy duty alkaline or solvent based cleaners to remove the deposits. Residual action continues to breakdown hydrocarbons in interceptor tanks and drains. 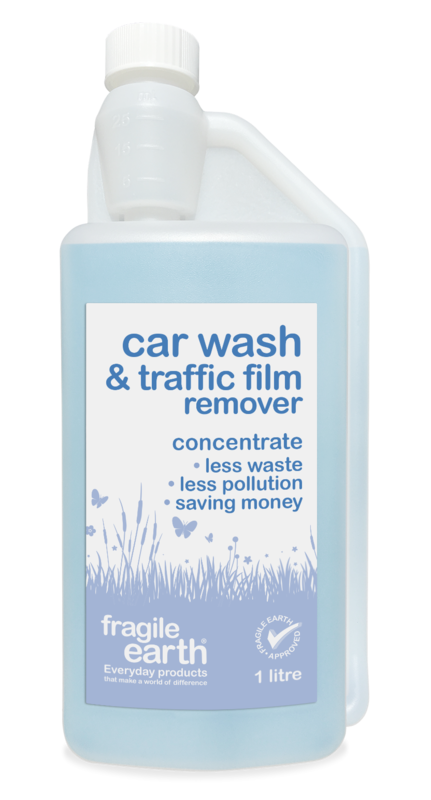 To use add 100ml of concentrate to 5 Litres of clean water and wash the car with a sponge or cloth then rinse clean with water. For use with pressure and automatic washers dilute 100ml concentrate to 7 Litres clean water. Biological culture; a blend of surfactants, sequestrants, metal deactivators, water softeners and a proprietary biological blend of additives to remove deposits on the exterior of vehicles. Biodegradable, non-flammable and no VOC’s; contains no petroleum distillates. pH9 with the cleaning power of pH13. 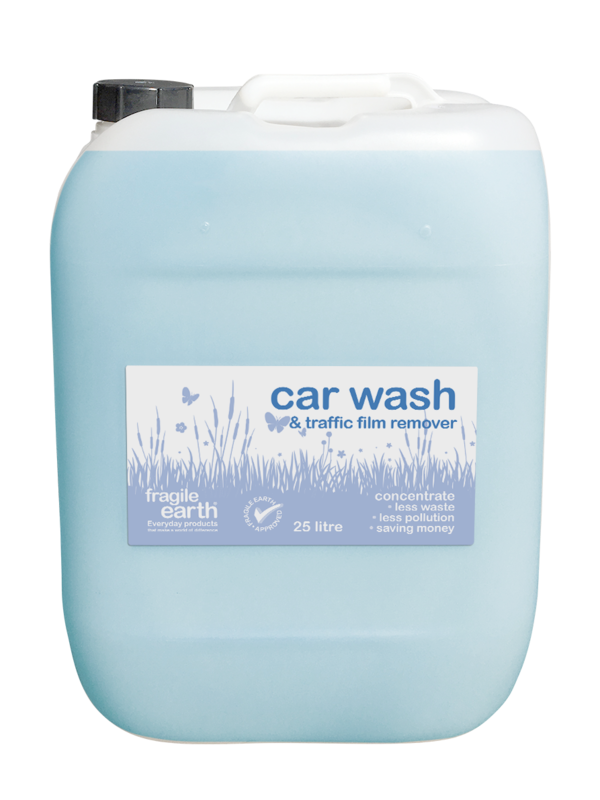 The added biological blend of bacteria and enzymes aids in breaking down the organic matter during washing and keeps working well after the car has been cleaned and dried on the hard to reach areas. The added value to this product is that it can be discharged directly into the sewer systems. The biological additives benefit by keeping drains clean, free-flowing and reducing odours.